Why Are Periodic Security Audits Important? Posted on: In: Blog | Comments Off on Why Are Periodic Security Audits Important? Every person knows that they should consider their safety at all times. No one will ever dare take a road trip without ensuring that their car tires and engines are working properly. Every single person who values his health will also want to take a trip to the doctor at least once every year. 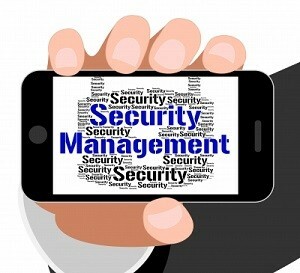 Of course, every business owner will value the security of his company’s assets too. In line with this, periodic security audits should be conducted. Why is this so important? You have to take care of the data that goes into your computers as there may be confidential information that you do not want to compromise. These pieces of information may not just be your own business data but those of your clients as well. Unless you conduct periodic security audits, you will not be able to detect any fraud that might have been existing for quite some time now. Security threats, remember, do not come just once in a while. In fact, if you happen to be listening to news, you will find out that threats come and go on a daily basis and are in different forms and sizes. Your own security system may be vulnerable to all possible attacks from security threats if you fail to conduct periodic security audits. A company is not just about delivering products and services to consumers. Of course, it also involves making investments from time to time. If you conduct security audits religiously then you can also focus your attention on which investments are smart to make and whether they will give you higher return in the future or not. When you began your business, you know very well that you have many competitors in the market. If you regularly check on your statistics via security audits, you will be able to find out what keeps your peers in the business ahead of you. You might want to take their lead and with the periodic checks that you make on your security, you will be able to devise a plan that will put you on top of the leaderboard. Consumers are very smart as to making choices of who to deal with when it comes to their needs. Like you, they never want to compromise their safety. With periodic security audits, you will be able to show your consumers and your prospects that their needs are of utmost importance to you above anything else. When they learn that you conduct security management checks regularly, they will feel at ease and will never have second thoughts about doing business with you in the future. Sometimes, it is not enough to list down the importance of conducting periodic security audits in order to convince you that your business is heading the right track. You have to learn how to conduct it. It will be important to trace possibilities as to how your security can be compromised whether through internal or external attacks. You might also want to reassess your business network architecture to be able to deal with these threats. It will help to devise an alternative plan in case you find out that your security has been compromised. Of course, you will also need to hire someone who will help you in this case. A security consultant in Montreal will assist you in conducting these audits. With the many companies offering security services all over Canada, you may be wondering how you can spot the people who can help ensure your safety at all times. Existing policies in Canada will actually be an assurance that you will be able to hire the security guard that you need. Get to know these policies better. Take note that some details of these policies may vary from one province to another but basically here are the rules that apply to all. Security guards in Canada will only be hired once they reach the age of 18 which is the legal age of work in the country. Some provinces will require that the applicant will at least be 19 years old before they are hired for the job. Add to this, every applicant is screened in order to make sure that they do not have any criminal record. Criminal background checks are made to assure that you are hiring someone with a clean record. This will be issued only once the applicant passes an exam. The provincial ministry administers the exam. Before taking the written exam, applicants will be required to undergo training via a 40-hour course. Take note though that the exam is just one of the steps that these applicants undergo before they are offered employment as security guards. There are yet other requirements that will guarantee an applicant the license that they need. Securing a license as a security guard is not just about going through the 40-hour course and passing the exam. It will also require submitting some forms that need to be filled out. This is done through the provincial government. Basically, the form is available through them. Once the applicant secures a license he will be required to renew it yearly. Security guards are not just hired after meeting the above-mentioned requirements. Most of the time, an applicant should be able to balance his interests with those of the interests of people whom he will soon serve. As said, being a security guard is an interesting job considering the challenges that come with it. Every applicant will feel a sense of fulfillment once hired for employment. Above these things, however, it is crucial to note that a certain kind of personality will make the applicant a better person fit for the job. In Canada, it is important for one to have a sense of responsibility, meaning, a security guard should be able to look after the welfare of people he will serve. Also, it will be good for one to have a keen eye for details. Being a security guard, after all, is not an easy job. One has to be alert at all times. Most of all, before a security guard is hired for the job, his love for others must always prevail. Canada’s policies will definitely ensure that you hire the best security guards that you need for your business or for any personal security matter. This will make it easier for you to make sure that your assets are safeguarded at all times. They go through rigid training that will make them physically fit for the job as well. But of course, you should not just presume that every security guard in Canada have undergone these rudiments. You have to make sure you hire from companies who have checked on all these eligibilities themselves. 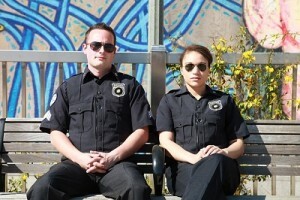 If you want to be guaranteed the best service ever, you can hire security guards in Montreal from us. If you have lived in a detached house before and you have exercised due diligence to make sure you and the rest of the household members are safe then you might as well think that it will be easy to stay in a condo should you decide to in the future. Well, that assumption is partially correct since the basics to safety apply in both types of homes. But you have to remember the simple steps below to make sure living in a condo is safe at all times. You have to make sure you have checked on every detail regarding the neighbourhood – including the safety of nearby shopping centres and all other amenities found in the place. You also have to be familiar with your neighbours. Since you are living literally close to these people, you need to get to know them well. It is always important to be familiar with these things so you will know very well where to run to in case of emergencies. With entrances and exits, indoor parking as well as storage facilities are included. You might want to get to know where you can locate emergency sirens or panic buttons so that it will be easier to call for help later on in the event that there is fire or any other calamity that will hit the place. You may presume that access control and security are one and the same thing. The truth is that access control can be defined as limiting or restricting any third party’s access to the building. Security, on the other hand, can be used together with access control in order to alert any authorised personnel regarding a breach that may take place within the place. Alongside this, you have to make sure that there is limited access to areas where unwanted visitors may enter the building. You do not want them gaining access to your unit or anybody else’s unit for that matter. If you notice any malfunctioning door then report to authorised person as well. It will also be wise to double or even triple check whether you have locked the door or not before you leave. Often, this step is being neglected by many up until something goes wrong. In line with this, you should make better use of your door’s peepholes. Make sure you peep through it whenever someone is knocking at your door before opening it. There are many cases when someone else may have occupied the unit you are going to rent or buy before you. If this is the scenario, you have to make sure that the locks have been changed before you move in. This will prevent any possibilities that the previous owner will barge into the unit. It will also be well worth it to note who you have given duplicate keys to. Of course, you should make sure you have removed the key from the key hole when you leave for an errand or for work. Some condo units have mailboxes on the first floor of the building. You might think it is a good idea to have your name printed on the mailbox you own but to keep you safe, it will be better to just have the unit number placed on it instead. This will prevent the possibility of strangers telling your neighbours that they know you when in fact they do not. Never place your lives and other lives at risk if you decide to live in a condo. Learn more about how we make sure you get the best in terms of condo security in Montreal.